Earth is home to an estimated 8.7 million species of animals, with 6.5 million living in the land and 2.2 living in the oceans. This variety of organisms inhabiting the planet is called its diversity. This number may seem like a huge lot, but an interesting thing to consider is that many of these species are related. 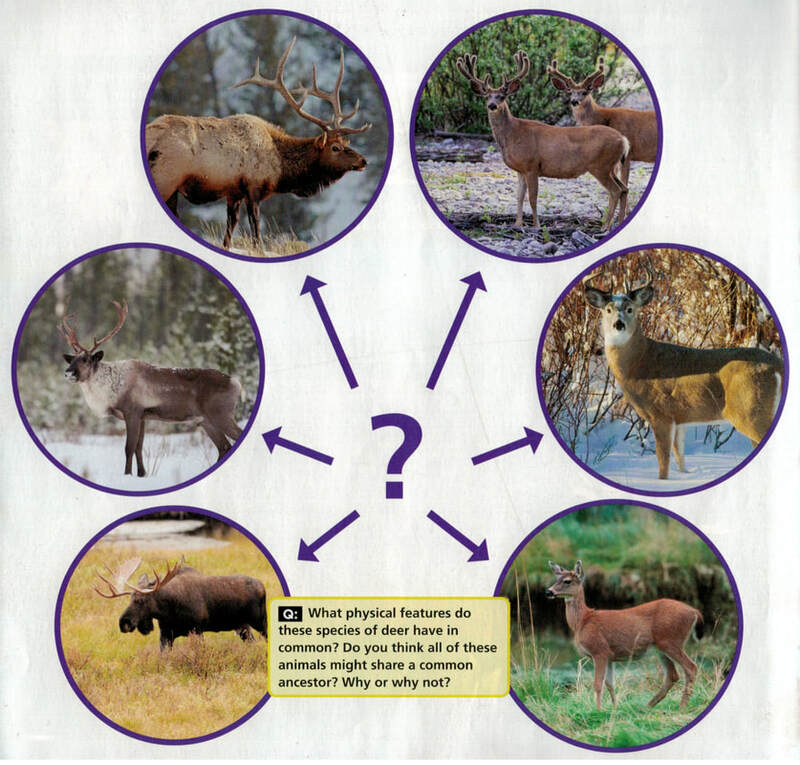 The six species of deer below all live in British Columbia. 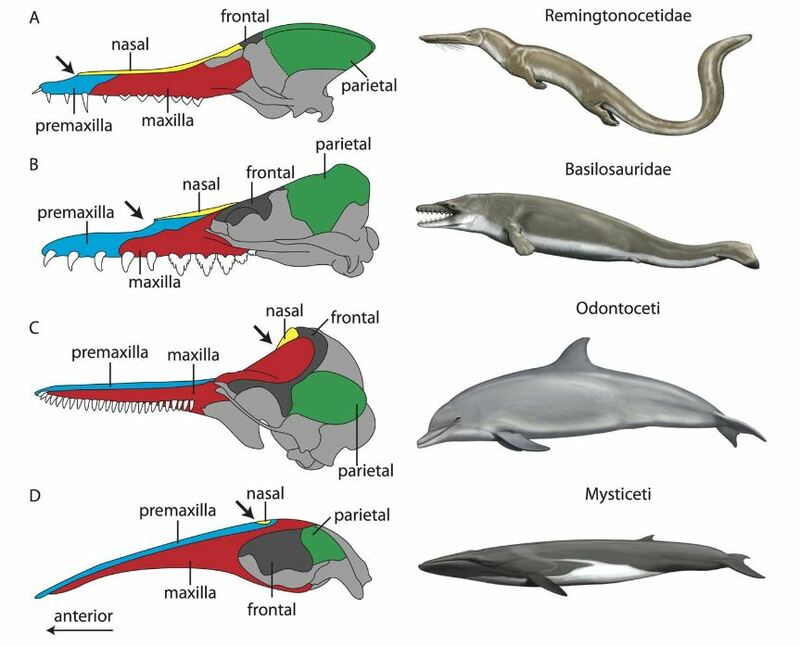 Have you ever wondered how some organisms look similar, but still are completely different? There is a lot of evidence that species change over time. This gradual process of change that happens to a species over a long period of time is called evolution. This is the ability an organism has to use its characteristics to help it survive and reproduce. Understanding evolution is understanding how living things have adapted over time to meet their survival needs. 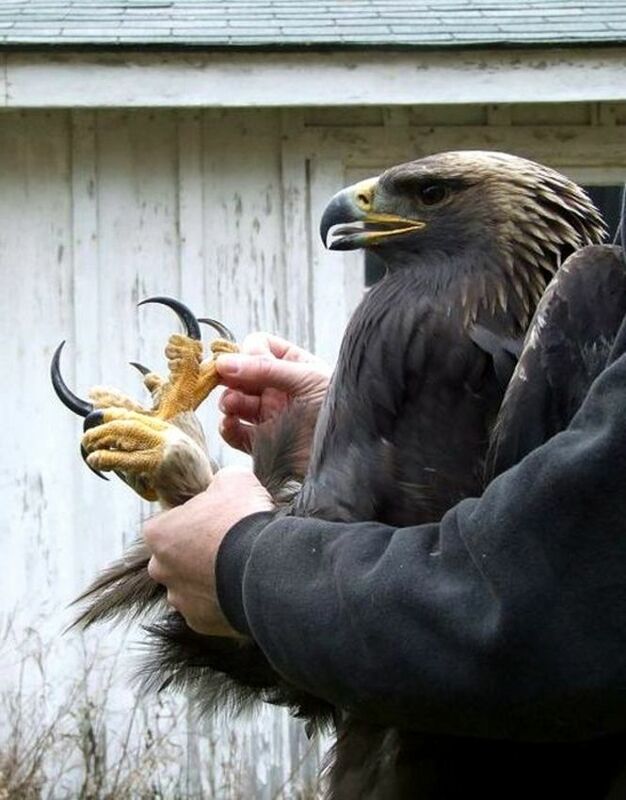 For instance, look at an eagle's talons. They are very long and strong when comparing to other birds. Why is this a necessity for the eagle? The long, strong talons and the bald legs are tools the eagle uses to survive easier in its environment. A behaviour or physical characteristic that allows an organism to survive and reproduce in its environment is called an adaptation. 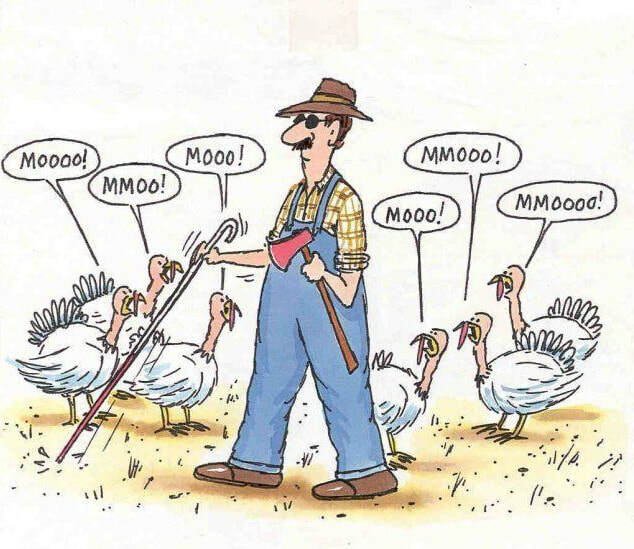 Adaptations arise from mutations, which are a result of a change in the DNA of an organism. Imagine you had to write a certain phrase a thousand times; chances are you would make a couple of mistakes. When the DNA of a cell makes a copy of itself, sometimes mistakes are made, and voila, mutation! Let's say a moth has always been white. It had a difficult time surviving because its colour was a contrast to the trunks of the trees, and so birds could see it and eat it easily. A mutation happened, and one of the moths was born brown. Do you think this moth would be able to reproduce more than the other moths? The answer is, most likely, yes. This mutation created an adaptation that enables the moth to survive easier than other moths. This would likely cause the white moth population to eventually become more numerous than the brown moths; eventually, there would be only brown moths, and the white moths would be gone. This process is called natural selection, and it is what drives evolution. This is the natural process by which individuals that are better adapted to their environment are more likely to survive and reproduce than others that are not. Our brown moth, better adapted to its environment, would have a better chance of finding a mate and passing its brown genes to its offspring. This process of natural selection is also called "survival of the fittest," a concept that people were talking about a lot when the Huger Games became popular. The "fittest" organism survive to live a long life and reproduce. "Fit" doesn't mean being strong or buff, however; it means FITTING your environment, or being well adapted to it. That's right -- some adaptations survive exactly because they are smaller, or a different colour, or more delicate (so they look like twigs). Some species developed the ability to move veeeeery slowly -- this may seem counterproductive, but it may make them almost invisible in their environment. When dealing with predators, invisibility is a good thing! Did you know that snowshoe hares who live in areas without much snow remain brown all year long? How about whales? Have you ever considered their blowhole, and how it is located in a great spot? These modifications help a species survive in its environment. When the entire population of a species cannot thrive in its environment -- either because the environment changed too quickly, or food supplies disappeared, or they were hunted by predators -- we call that extinction. Dinosaurs went extinct millions of years ago; in fact, 99% of all organisms that ever lived on Earth are now extinct. Earth has gone through five major extinction events, all caused by a variety of geological factors; in fact, scientists warn us that we are currently undergoing a sixth mass extinction event, as observed by current data. Since 1970, 60% of all vertebrate animal populations has been wiped out, with many species of animals becoming extinct. 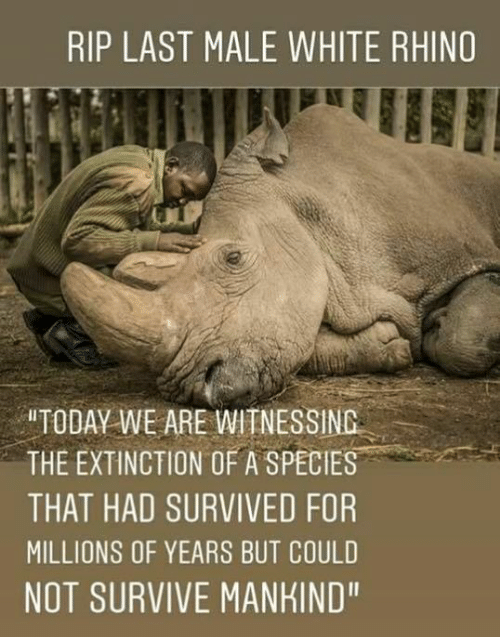 Every day, more species become extinct, some without ever being discovered. Did you know that we have many things in common with a rhinoceros? We also have things in common with other animals. 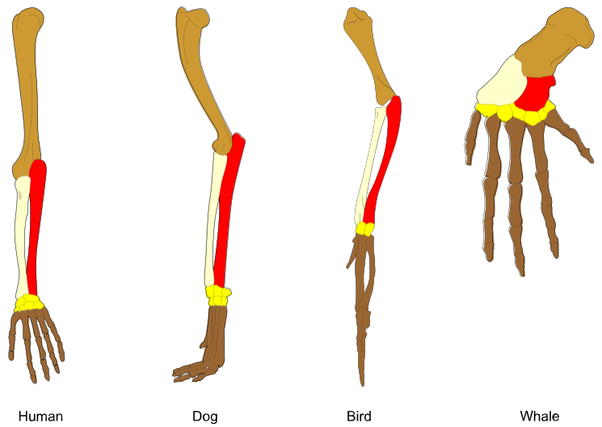 For instance, rhinos' front legs, dolphins' fins, bird wings, the human arm and a dog's front leg all have a similar bone structure, because they are all composed of a humerus, a radius and an ulna. This indicates that all of us, a long, long time ago, had a common ancestor, which branched off before we were divided into different families of animals. These structures which can be found in similar locations, but different species are called homologous structures. Natural selection is not the only way to evolve a species. In fact, did you know that humans also change species over time? In fact, most of the plants and animals we eat today are not found in the wild. Take the banana, for instance; in the wild, there are many different kinds of banana, all of them smaller and seedy. The bananas we eat are larger, sweeter and usually yellow, while in the wild the colours vary. These modifications happened over a long period of time, through a process called artificial selection. This is different from natural selection because it is not based on whether the species will be more adaptable to the environment; rather, humans are now modifying the species based on certain characteristics they want to be passed on, such as size, flavour, etc. On artificial selection, humans choose a species to grow; they choose a characteristic they would like, such as size or texture, and plant a large quantity of the same plant. 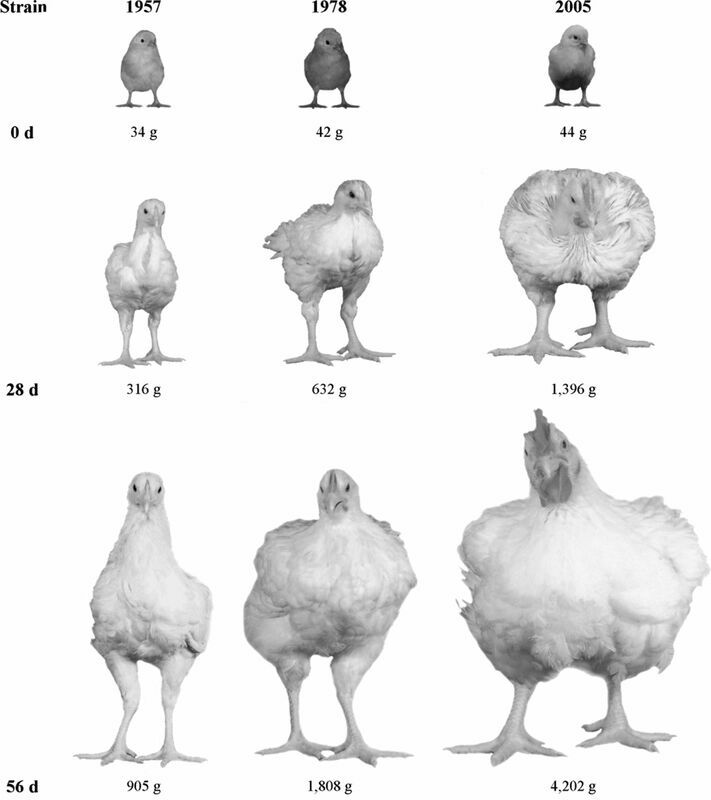 Then, they look for mutations, or single individuals that display a better flavour, or a bigger size. They then get this individual and breed several more of those, using them as parents for the next generation. Rinse and repeat! With animals, this has occurred in a similar way, with characteristics such as amount of fat, size and ease of handling being bred into the populations of farm animals we see today. 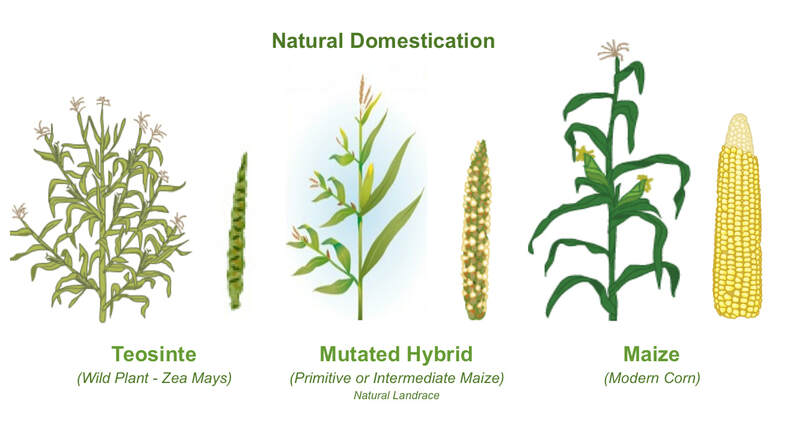 This process of planting wild plants and breeding wild animals is called domestication. When plants and animals are domesticated, humans change their characteristics to suit humans' needs. These are the key concepts for this unit. We will have a lot of fun, and I hope you will enjoy evolution as much as I do!